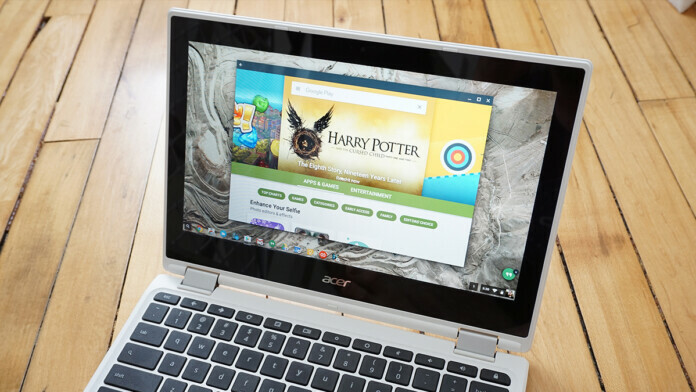 During the last couple of years, Chromebooks became increasingly capable devices. Today, they run a wide range of apps, including Android and even some Linux applications. And of course, Kodi is there as well. So, in case you want to run the world’s most popular home theater application, allow us to teach you how to install Kodi on Chromebook. Considering the rapid development of Chromebooks, we’ve updated this article for 2019. This means that we offer three installation methods, all of which can be used to install Kodi 18 Leia on your Chromebook. This method can be used by those who have access to the Google Play Store – which means that you can install Android apps. So, here’s how to install Kodi on Chromebook via the Play Store. An overview of Kodi will now open. 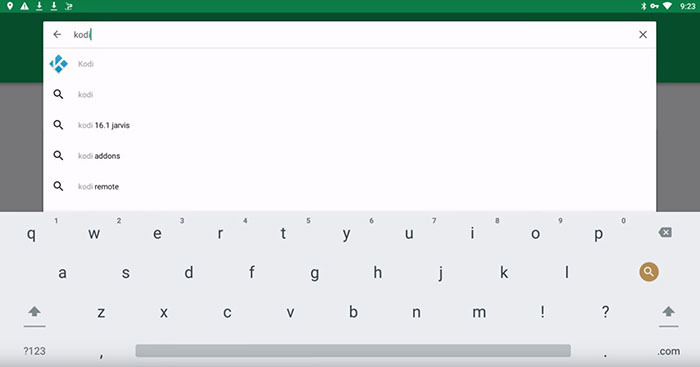 Hit the green-colored ‘Install’ button and your Chromebook will do the rest. Depending on your Internet connection speed, it might take a few minutes for the application to be downloaded and installed. That’s it! You should now find Kodi among the installed apps on your Chromebook. Find its icon and launch it. Next, we’re going to explain how to install Kodi on Chromebook by using a Chrome extension named Arc Welder. Choose from a 32bit or 64bit version. You can see which of these versions you can run by typing ‘chrome://help’ in Chrome’s address bar where you’ll see if you’re running a 32bit or 64bit version of Chrome. That’s it! Kodi will now load and fully open. Don’t worry if it takes a few minutes for Kodi to fully launch the first time you open it. 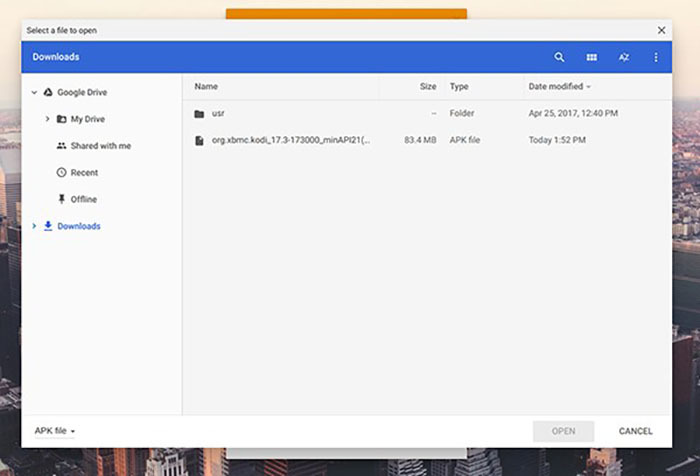 As a continuation of our previous step, we’ll teach you how to install Kodi on Chromebook by turning this application into an extension. This means that you won’t need to run Arc Welder each time you wish to open Kodi. You need to run Kodi through Arc Welder. In other words, all of the mentioned-above steps are needed. This includes downloading Kodi’s APK file and testing the application using Arc Welder. As a result, this will produce a new Kodi APK file that we’re about to use. Finally, find Kodi’s APK file. However, this shouldn’t be a freshly downloaded file. Instead, you need to find the file that was exported via Arc Welder. You’ll recognize it by its name which should be something like ‘apk_export’. Click on the file. That’s it! Chrome will now import Kodi and recognize it as an extension. Feel free to use just you would use any Android application. While we have your attention, we’d like to make a few recommendations. To learn how to use and enhance your Kodi user experience, don’t forget to check out the following articles. This is where we conclude our article on how to install Kodi on Chromebook. In case you have anything to add, feel free to post a comment. Let’s exchange ideas and help each other with technical difficulties. In case you think this article might be helpful for other Kodi users, why not share it? Also, you can follow TechNadu on Facebook and Twitter as well. Thanks!